SINGAPORE - Millennials have been the subject of discussion worldwide, and have often been labelled as lazy, entitled, and having poor work ethics. 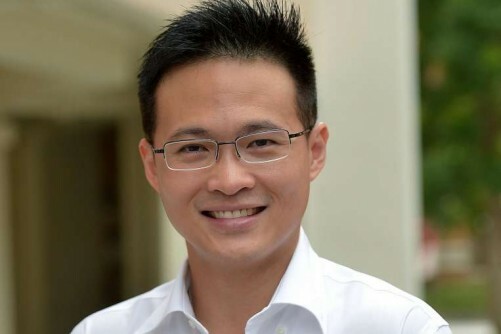 But new Member of Parliament Desmond Choo (Tampines GRC) on Monday (Jan 25) sought to debunk these stereotypes, as he spoke about how Singapore's future will be shaped by this group, whom he identified as those born between 1981 and 2000 and are now 16 to 35 years old. Mr Choo, who is also director of NTUC's youth development unit, called on the Government and employers to do more to help millennials succeed in all domains of life, saying that it is talent, rather than capital, that will drive productivity in the next 50 years. Among his suggestions is to put in place more progressive workplace practices, such allowing new mothers to opt for flexible work arrangement for eight weeks after they return from their 16 weeks of legislated maternity leave. There are about 1.2 million millennials, making up about 22 per cent of Singapore's resident population. On the criticism that this group of youngsters care only about achieving work-life balance, Mr Choo said it is because they care about "social and family successes" as much as career success. Hence, they want "latitude in managing their time to explore personal growth". Mr Choo said progressive work practices will allow them to do so. As "digital natives", they are "comfortable producing work anywhere, not just in the office", he added. He highlighted new mothers as a group who can benefit from a more progressive and flexible work arrangements. After 16 weeks of legislated maternity leave, new mothers often have difficulty adjusting to full-time work and also suffer from anxiety from being apart from their child, he said. He called on the Government to consider legislating eight weeks of flexible work arrangement, on top of the 16 weeks of maternity leave, so new mothers can work from home, for instance, as they get back into the routine of work. On another criticism, Mr Choo said employers also often lament that millennials do not stay in a job long enough to learn and build skills. But he said it is because the youngsters believe in "chasing growth and learning curves". Citing his interaction with people in this age group, Mr Choo said many of them told him they are likely to leave a job when they feel they are not learning; when career paths are unclear; and when they cannot identify with the company's work. He suggested providing more guidance as these youngsters make their career choices. While the Ministry of Education has a slew of initiatives, such as deploying education and career guidance counsellors in schools, said Mr Choo, these initiatives can be boosted. He suggested that industry professionals volunteer as formal and informal mentors to enhance the initiatives and called on the Government to work closely with the Labour Movement to tap on its existing networks. "After all, people connect best to people and not to technology...mentors can share what the real world work requirements and conditions (are)," he said.